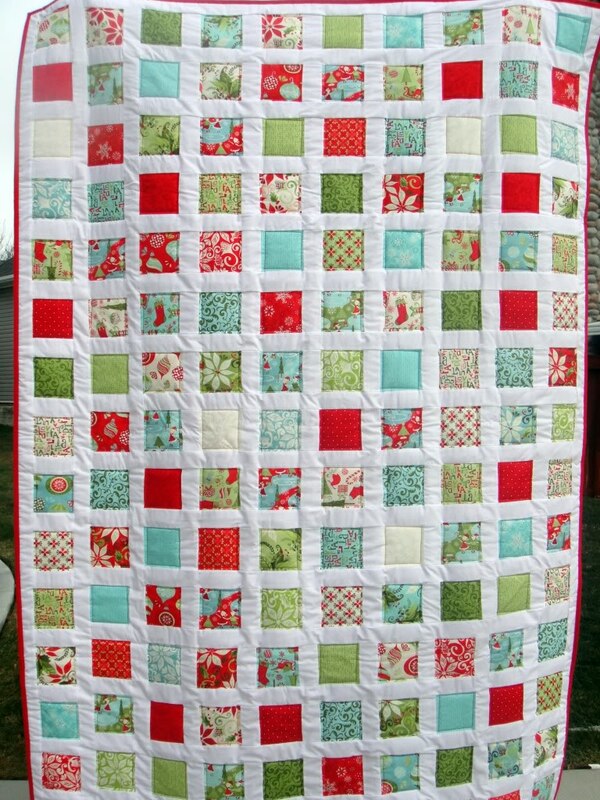 I made myself a Christmas quilt! and in case you can't tell, it's huge. My mom had to stand on top of a ladder to hold it up. haha she looks like she's enjoying herself doesn't she? 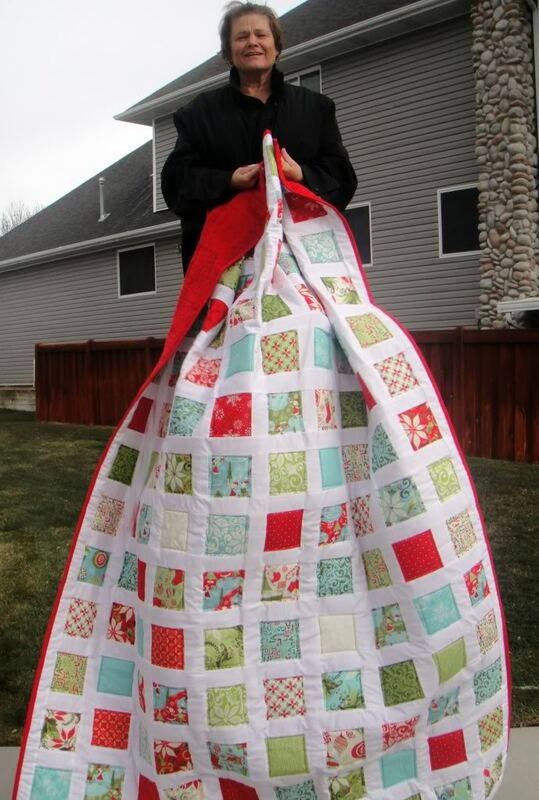 I used red minky fabric for the back so it's nice and cozy for the cold Utah weather. 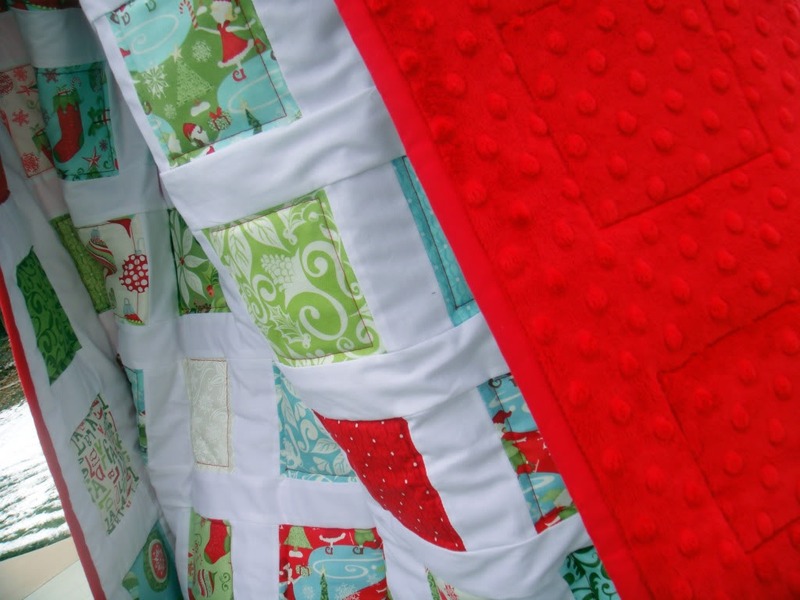 Not going to lie, this quilt has made me really excited for Christmas!